Catching the Saturday matinee of the latest West End hit could not be easier with a theatre break from Newmarket Holidays. Customers have a wide variety of shows, from Wicked to Jersey Boys, all at great value, with a coach transfer from the theatre to their hotel. The fun does not stop there as – on some of the breaks offered – the booking price also includes dinner and a disco at the Thistle Hotel Heathrow. Newmarket Holidays offers a break that includes a Saturday night ticket to one of the many shows running in the West End as well as the opportunity to enjoy the hotel’s amenities through the day. On the day of departure, the price also includes breakfast at the hotel, and Newmarket Holidays recommends saving some energy for seeing the sights of the capital before getting back on the coach to return home. Alternatively, customers can go shopping in the country’s most famous stores like Harrods or Fortnum & Mason. There is also the option of taking the train to the capital, with a slight increase in cost, however this alternative does have the advantage of being able to travel from a station that is nearby. With great rail links throughout the country, customers of a Newmarket Holidays theatre break won’t have to wait long before they can start enjoying their break. Aside from the choice of award-winning musicals and shows on offer from the Newmarket Holidays theatre breaks, on the Sunday customers will have plenty of opportunities to explore the capital before they return home. With many museums that cover a huge range of exhibitions, from dinosaurs at the National History Museum to rocket flight at the Science Museum and mummies, statues and ancient treasues at the British Museum, there is something for everyone. The renowned waxworks at Madame Tussauds is another, ever-popular, destination where customers of Newmarket Holidays will be able to stand next to their favourite Hollywood stars (or at least their likenesses anyway!). Choosing a four-star theatre break from Newmarket Holidays will not disappoint as there are plenty of shows to choose from, and customers are not limited to what is easiest for the company. 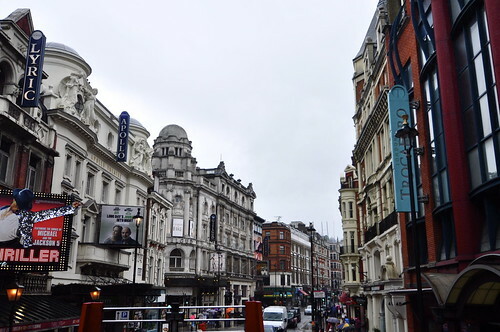 With coach travel arranged between the theatre and the hotel, customers can enjoy their time in the capital without having to worry about navigating the Tube or paying out on taxis. Although most people think of coaches when they hear the words ‘escorted holidays’, Newmarket Holidays are proud to present travellers with an alternative option to seeing the sights at the heart of Europe. MS Olympia is an elegant and well-appointed river cruise vessel that will take Newmarket Holidays customers along the major waterways of the continent, allowing them to enjoy a lazy meander through Germany, the Netherlands and Austria. With a capacity of around 100 passengers, MS Olympia is large enough to accommodate enough people for the many bookings Newmarket Holidays receive for some of their most popular escorted holidays. Only having 100 people on board however, means the trips are not so large as to risk any compromise of the company’s policy of delivering good customer service. Newmarket Holidays provides every trip on the Olympia with a knowledgeable and professional Cruise Manager who will be on hand to liaise with the company for any customer queries, as well as being responsible for the trip’s itinerary. While customers may disembark at certain points along the trip, the Cruise Manager will be on hand to guide them towards interesting landmarks, exciting events and fascinating visitor attractions. Put simply, each Newmarket Holidays Cruise Manager is there to ensure customers have a hassle-free and enjoyable holiday. There is a considerable range of river cruise destinations for Newmarket Holidays customers. 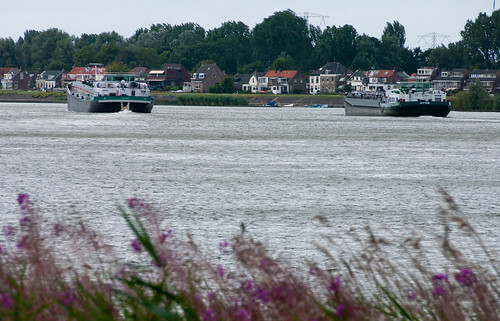 Germany is a popular option with many cruises along the famous Rhine river, including a summertime cruise down the river complete with firework displays. Another comprehensive cruise option is to visit the Black Forest, a typical fairytale expanse of woodland in the centre of the country, with stops along the way to visit quaint German towns. Alternatively, customers can join the Olympia on one of Newmarket Holidays’ trips to the Netherlands and the majestic Dutch bulb fields, which also include time in Amsterdam. Departing for the trips aboard the Olympia could not be simpler. Coach transfers are available from many locations across the country – just one of the ways that Newmarket Holidays ensures that any holiday with the company is as hassle-free as possible. Newmarket Holidays has over three decades worth of experience when it comes to designing and implementing guided coach tours throughout the world. Customers can sit back and enjoy a carefree holiday knowing that Newmarket Holidays has covered everything from transport to accommodation and entertainment. All of this for a good-value price from a company that prizes customer service above all else: winning the British Travel Awards Best Coach Tour Operator in 2011 and the Best Tour Operator to Italy and Malta in 2012. Each holiday is meticulously planned and put together by an expert team, and the smooth operation of each is handled by a professional Tour Manager from Newmarket Holidays. The Tour Managers are integral to the success of an escorted tour, as they are the ones who will liaise between customers and staff, answering any queries that they might have with their extensive knowledge of the tour. Newmarket Holidays also ensures that the Tour Managers are experts in their specific destinations so they know exactly where to go and what is available for customers to do. Customers can choose from a wide variety of holidays with Newmarket Holidays covering dates from the remains of 2013, through 2014 and on into 2015. 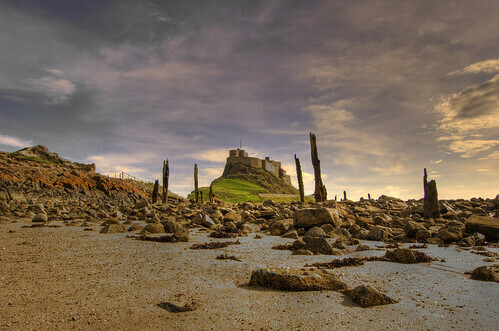 From UK breaks to the island of Lindisfarne, where customers can visit the first site of Viking invasion, to trips to the Isle of Man to experience Manx hospitality or a trip to Emmerdale Country, the heart of the Yorkshire Dales, all breaks include coach transport to and from the destination and a stay at a hotel carefully chosen by Newmarket Holidays for the best value for money. For the more adventurous traveller, Newmarket Holidays offers many trips to the Continent, Paris in the summer is a sight to behold, and Newmarket Holidays has breaks that combine the French capital with other popular local attractions, like trips into Champagne country. Experts at Newmarket Holidays have also organised a range of escorted breaks that are engineered around famous sporting events. Customers can take a trip to Ladies Day at Ascot with Newmarket Holidays, or to go and watch Andy Murray (hopefully!) play at Wimbledon 2014. All bookings are ABTA and ATOL protected, so customers of Newmarket Holidays can be reassured they are in safe hands and booking with a company that has been operating tours for thirty years.